Look at your poop. No seriously, next time you drop the Browns off at the Super Bowl don't immediately flush. Examine your stool's color, consistency, and smell. It should be smooth, formed, and not smell like it's been festering in your body for weeks. If you find yourself grunting and groaning to pass hard stools or if each encounter with the white porcelain rather explosive, then psyllium husk might be what you're missing. 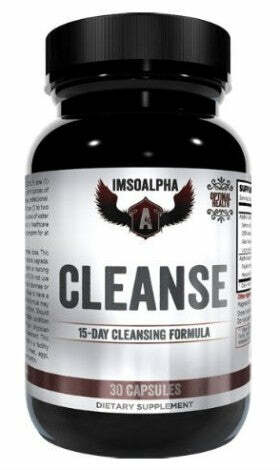 I'm So Alpha's Cleanse contains psyllium husk powder. Click here to order now. Unlike harsher stimulant laxative agents like caffeine and Senna alexandrina, its primary purpose is to induce defection through the increased size and moisture of the stool. Anyone who has consumed too much coffee will be all too familiar with the emergency bathroom visits required soon thereafter. The standard American diet is exceptionally low in fiber and high in processed carbohydrates so millions of Americans experience irregular bowel movements. Psyllium husk might be the safest bulk-forming oral laxative currently available. You can find psyllium husk in capsule, tablet, wafer, and powder forms. Most psyllium husk supplements are unflavored but some manufacturers add artificial berry, pink lemonade, or orange flavoring to improve the taste. Psyllium husk is also used to control blood sugar spikes after a meal, lower cholesterol, decrease appetite, improve blood flow, and decrease the body's absorption of carbohydrates. Psyllium husk may also be applied directly to the skin to eliminate boils as well as incorporated in to frozen dairy desserts as a thickener and stabilizer. As you can see its uses go beyond an oral bulk-forming laxative. If you use any of the aforementioned medications then consult with your healthcare professionals before incorporating psyllium husk in to your diet. Psyllium husk may also prevent proper absorption of foods high in dietary fat, like butter and oil, and increase fat content in your stool. Decrease the risk of passing fatty stools by taking psyllium husk alongside a low-fat meal or on an empty stomach. Psyllium husk has positive effects on not only stool formation and excretion, but also on cholesterol, triglycerides, blood sugar, appetite, and body fat. Psyllium husk is a must-have supplement for those looking to improve their bowel movements. A study of 170 subjects with chronic constipation compared the daily ingestion of 5.1 grams of psyllium to 100mg of docusate sodium, a popular sodium-based laxative used to encourage bowel movements. After the fourteen-day study researchers found that psyllium husk significantly increased stool water content and water weight, total stool output, and bowel movement frequency. As you can see psyllium husk benefits not only individual with digestive issues but also otherwise healthy individual those looking to optimize their overall health and well-being. 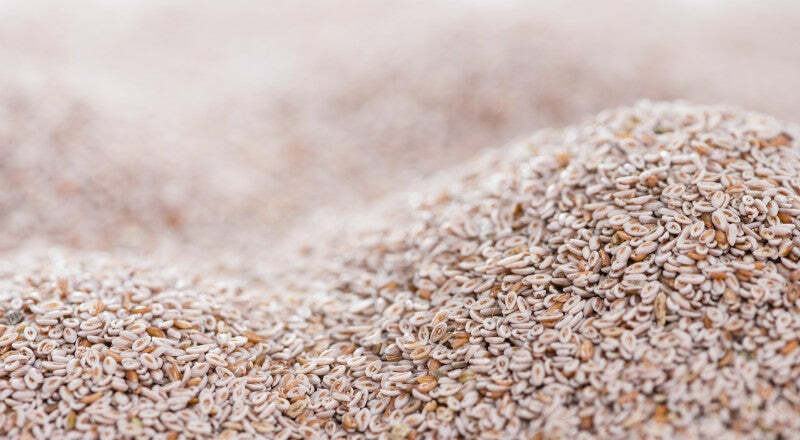 The cholesterol-lowering effects of psyllium husk benefits those with high cholesterol, healthy individuals, and diabetics. A meta-analysis of 404 adults with mild or moderately high cholesterol found that psyllium-enriched cereal decreased total cholesterol and low density lipoprotein (LDL) cholesterol by an average of 9% and 5%, respectively, compared to placebo. A daily intake of 5 to 20 grams of psyllium husk can significantly decrease total cholesterol, LDL cholesterol, triglycerides, and increase HDL cholesterol in patients with Type II diabetes and those with high cholesterol. Stacking psyllium husk with a prescription cholesterol-lowering medication like statins can decrease the amount of statin required to achieve the same cholesterol-lowering effects. Those looking to control their cholesterol levels should take psyllium husk year-round. Psyllium husk has exceptional positive effects on blood sugar, especially in those with Type II diabetes. A meta-analysis of 35 studies across 30 years and three continents found that psyllium husk significantly reduces fasting blood glucose concentrations and glycated hemoglobin (HbA1c) in individuals with Type II diabetes but not in otherwise healthy individuals. HbA1c provides a snapshot of your blood glucose over time rather than at the instance of blood draw. A six-month study of 141 overweight individuals with high blood pressure, a population typically considered pre-diabetic, found that 3.5 grams of psyllium husk taken before their main two meals of the day significantly decreased total glucose and HbA1c levels in the blood compared to the guar gum placebo. Psyllium husk offers great blood sugar control for pre-diabetics and those with diabetes but current findings do not support psyllium husk's abilities to significantly control blood sugar spikes in otherwise healthy individuals. Psyllium husk promotes fat loss by helping you to feel full after a smaller meal as well as extend the duration before you become hungry again. From the blood market standpoint psyllium husk significantly reduces blood sugar and insulin spikes after a meal. Large blood sugar swings significantly increase your likelihood of having brain fog and deviating away from making healthy food choices. One study of 47 adolescent males found that six grams of psyllium husk taken daily for six weeks decrease the ratio of android fat to dynoid fat by 4% without negative side effects. Android fat is stored on the torso and significantly increases your risk for cardiovascular and metabolic disease. Psyllium husk is a low-cost method for suppressing hunger and promoting fat loss in people of all ages. Where Can I Find Psyllium Husk? 1) Ehrlich, Steven D. "Psyllium." University of Maryland Medical Center, University of Maryland Medical System, 19 Oct. 2015, Accessed Nov. 2016. 2) Frank, Kurtis, et al. "Psyllium - Scientific Review on Usage, Dosage, Side Effects." Examine.com, 2016, Accessed Nov. 2016. 3) Freeman, G. L. "Psyllium Hypersensitivity." National Center for Biotechnology Information, Ann Allergy, Dec. 1994, Accessed Nov. 2016. 4) "Blond Psyllium." MedlinePlus, U.S. National Library of Medicine, 16 Sept. 2016, Accessed Nov. 2016. 5) McRorie, J. W., et al. "Psyllium is Superior to Docusate Sodium for Treatment of Chronic Constipation." National Center for Biotechnology Information, Aliment Pharmacol Ther, May 1998, Accessed Nov. 2016. 6) Longstreth, G. F., et al. "Psyllium Therapy in the Irritable Bowel Syndrome. A Double-blind Trial." National Center for Biotechnology Information, Ann Intern Med, July 1981, Accessed Nov. 2016. 7) Qvitzau, S., et al. "Treatment of Chronic Diarrhoea: Loperamide Versus Ispaghula Husk and Calcium." National Center for Biotechnology Information, Scand J Gastroenterol, Dec. 1988, Accessed Nov. 2016. 8) Marlett, J. A., et al. "An Unfermented Gel Component of Psyllium Seed Husk Promotes Laxation As a Lubricant in Humans." National Center for Biotechnology Information, Am J Clin Nutr, Sept. 2000, Accessed Nov. 2016. 9) Olson, B. H., et al. "Psyllium-enriched Cereals Lower Blood Total Cholesterol and LDL Cholesterol, but Not HDL Cholesterol, in Hypercholesterolemic Adults: Results of a ..." National Center for Biotechnology Information, J Nutr, Oct. 1997, Accessed Nov. 2016. 10) Ganji, V., and C. V. Kies. "Psyllium Husk Fiber Supplementation to the Diets Rich in Soybean or Coconut Oil: Hypocholesterolemic Effect in Healthy Humans." National Center for Biotechnology Information, Int J Food Sci Nutr, Mar. 1996, Accessed Nov. 2016. 11) Ganji, V., and C. V. Kies. "Psyllium Husk Fibre Supplementation to Soybean and Coconut Oil Diets of Humans: Effect on Fat Digestibility and Faecal Fatty Acid Excretion." National Center for Biotechnology Information, Eur J Clin Nutr, Aug. 1994, Accessed Nov. 2016. 12) Rodríguez-Morán, M. "Lipid- and Glucose-lowering Efficacy of Plantago Psyllium in Type II Diabetes." National Center for Biotechnology Information, J Diabetes Complications, Oct. 1998, Accessed Nov. 2016. 13) Anderson, J. W., et al. "Cholesterol-lowering Effects of Psyllium Intake Adjunctive to Diet Therapy in Men and Women with Hypercholesterolemia: Meta-analysis of 8 Controlle..." National Center for Biotechnology Information, Am J Clin Nutr., Feb. 2000, Accessed Nov. 2016. 14) Uehleke, B., et al. "Cholesterol Reduction Using Psyllium Husks - Do Gastrointestinal Adverse Effects Limit Compliance? Results of a Specific Observational Study." National Center for Biotechnology Information, Phytomedicine, Mar. 2008, Accessed Nov. 2016. 15) Moreyra, A. E., et al. "Effect of Combining Psyllium Fiber with Simvastatin in Lowering Cholesterol." National Center for Biotechnology Information, Arch Intern Med, 23 May 2005, Accessed Nov. 2016. 16) Gibb, R. D., et al. "Psyllium Fiber Improves Glycemic Control Proportional to Loss of Glycemic Control: a Meta-analysis of Data in Euglycemic Subjects, Patients at Risk..." National Center for Biotechnology Information, Am J Clin Nutr, Dec. 2015, Accessed Nov. 2016. 17) Cicero, A. F. "Different Effect of Psyllium and Guar Dietary Supplementation on Blood Pressure Control in Hypertensive Overweight Patients: a Six-month, Randomize..." National Center for Biotechnology Information, Clin Exp Hypertens, Aug. 2007, Accessed Nov. 2016. 18) Rigaud, D., et al. "Effect of Psyllium on Gastric Emptying, Hunger Feeling and Food Intake in Normal Volunteers: a Double Blind Study." National Center for Biotechnology Information, Eur J Clin Nutr, Apr. 1998, Accessed Nov. 2016. 19) De Bock, Martin et al. ?Psyllium Supplementation in Adolescents Improves Fat Distribution & Lipid Profile: A Randomized, Participant-Blinded, Placebo-Controlled, Crossover Trial.? Ed. François Blachier. PLoS ONE 7.7 (2012): e41735. PMC. Web. Nov. 2016. 20) Samsell, Lennie et al. ?Importance of Android/Gynoid Fat Ratio in Predicting Metabolic and Cardiovascular Disease Risk in Normal Weight as Well as Overweight and Obese Children.? Journal of Obesity 2014 (2014): 846578. PMC. Web. Nov. 2016.